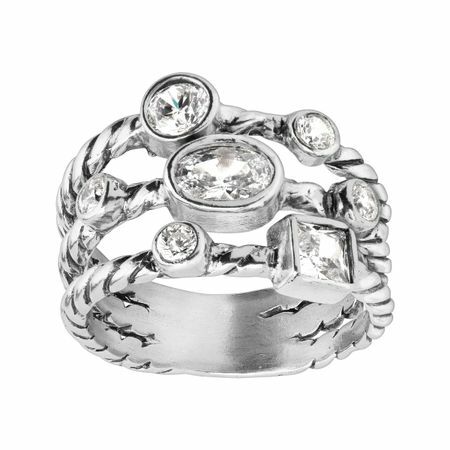 Add some sparkle to a dull day with this multi-band ring. Textured sterling silver strands interlock and boast white cubic zirconias for endless shine. Ring face measures 9/16 inches in width. Piece comes with a “.925” sterling silver stamp as a symbol of guaranteed product quality.